The new arrivals from Kakuma Refugee camp in northwestern Kenya received three big packages from DOHS on June 21. Once they let us know their clothing sizes, we can supply them even further from our Louisville supply! Please join us in welcoming all refugees to the United States! 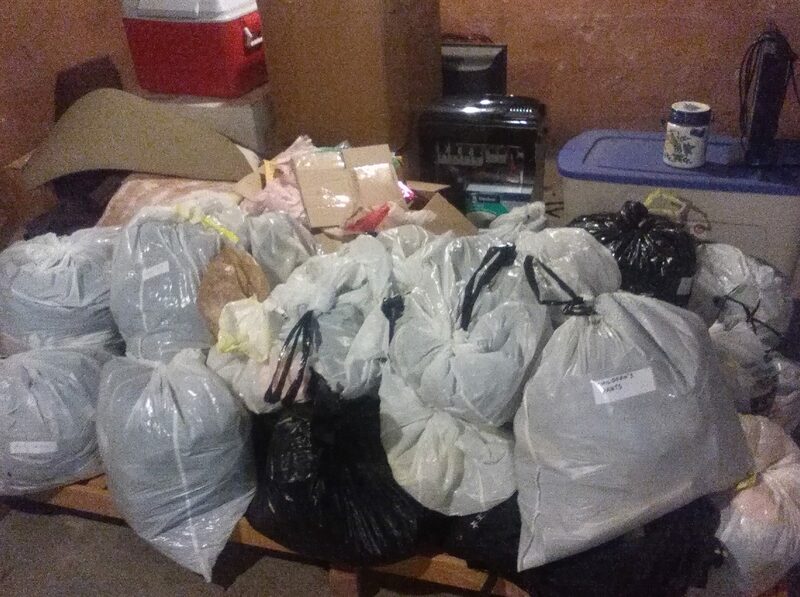 Our Louisville clothing and household items supply (plus a computer) as of June 27, 2017, after the shipment to the latest new arrivals was sent. On June 20, UNHCR came out with their report, Global Trends: Forced Displacement in 2016, in which it is stated that about 28,300 people per day (or twenty people per minute) were made homeless by violence in 2016 (1). By last December, there were 22.5 million refugees (over half of them under the age of eighteen), 40.3 million internally displaced persons, and 2.8 million asylum seekers (1). Though it is ignored by the western media, Darfur is still suffering immensely. As of June 1, according to the UN Office for the Coordination of Humanitarian affairs, there are still 1.98 million Darfuris within Sudan who have been displaced by violence, with 1.6 million of these in some sixty IDP camps in Sudan (2). And all together as of that date, 3.3 million need humanitarian assistance in Darfur (2), from a pre-war population of about 6.5 million.